I would like to share a fun experimental animation I’ve done recently. 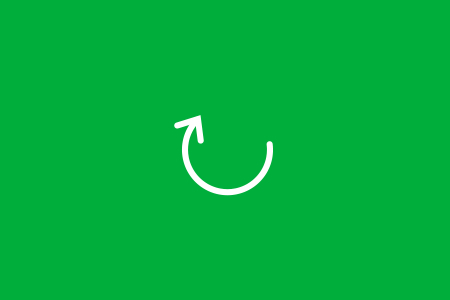 It’s about an animated refresh icon, based in this dribbble shot by Nick Buturishvili. I’ve made it using CSS animations, SVG and segment mainly. But also I’m using the d3-ease library for the elastic-out easing function used. The first practical step to make these kind of animations is always the same: Drawing. You need to figure out how many paths do you need to perform the animation, considering not only the final state, but the whole animation. Note that I’m using differents svg for each path. That is because I’ll be rotating the arrow with CSS, and I need it to make the rotation that I want. Also, Firefox 42 and below do not support transform-origin on SVG elements. See the Pen Fun Refresh Icon by lmgonzalves (@lmgonzalves) on CodePen.